Order on drop down menu. If you choose the 'COMBO' option, please list colors in notes on checkout. Combo is 9 yards. 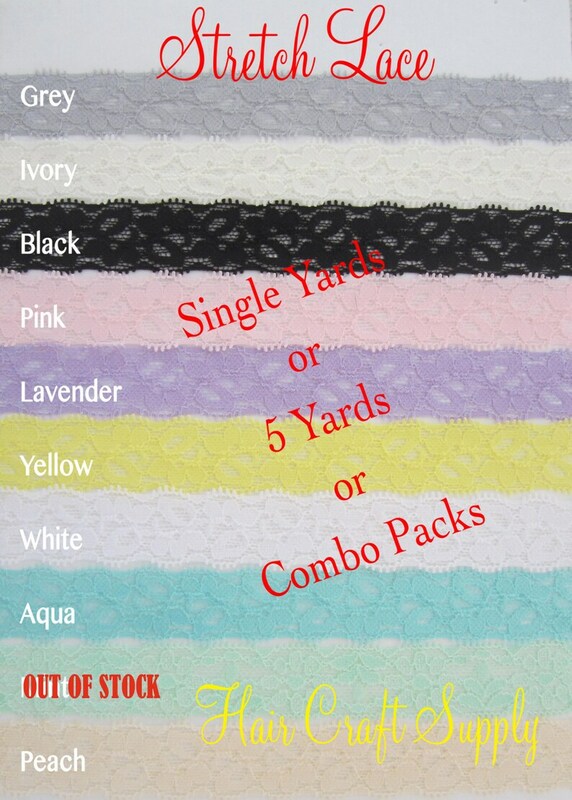 You may choose any amount of each color to total 9 yards, or 1 of each color. Thank you for the pretty lace! Perfect for my project for my nieces.